Like most little girl's my three year old Sophia is really into animals, especially ponies! 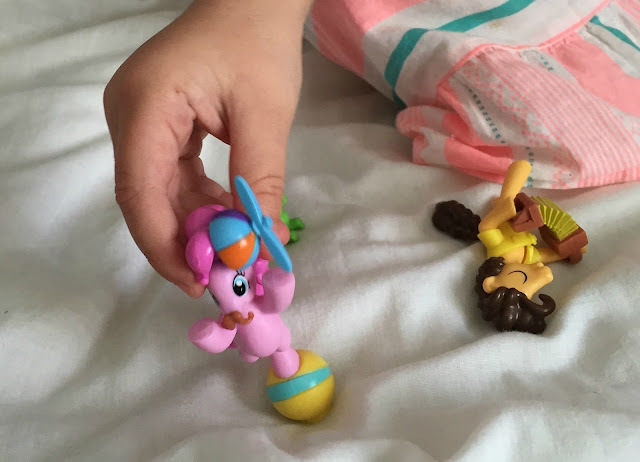 So when we were recently sent a cute My Little Pony Sugarcube playset from Hasbro to review, I knew that she would have lots of fun playing with it. As soon as she seen this playset she could not wait to get it out of the box and set her imagination to work playing games with it. The Suagrcube playset consists of the Sugarcube cake shop, cakes, ball, balloon and two small animal figures a crocodile and a chicken. 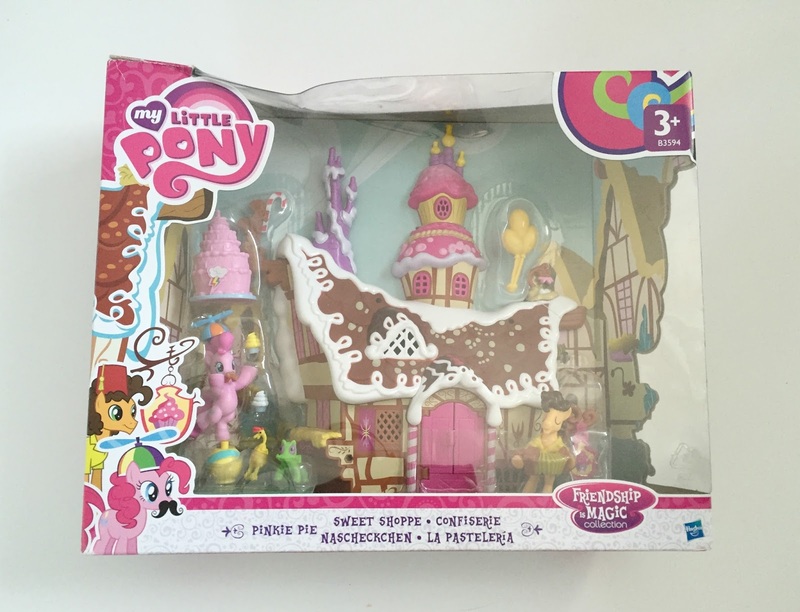 Of course it would not be a My Little Pony Playset without some My Little pony figures and this set came with two pony's which were Pinkie Pie and Cheese Sandwich (love the names). I loved that you did not need too actually build anything on this playset you just simply opened the box, set the one sided shop up and you could play straight away. 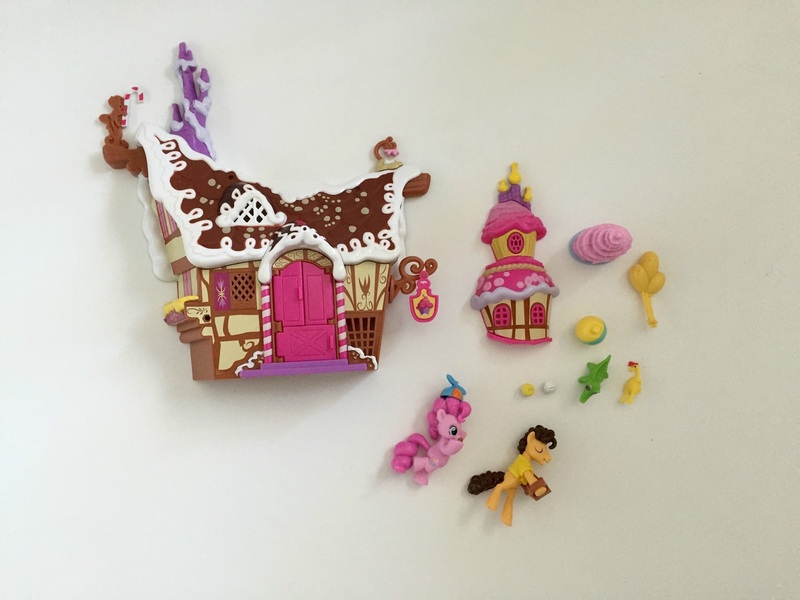 This playset does come with some very tiny pieces which I will a little concerned about having a younger child and also in case we lost them. However we still have all of the pieces intact as when Sophia is finished playing with the set she just puts everything into the shop and packs it away. I do wish that there was some kind of back on the set though so all the little pieces could be securely stored away. The Suragcube playset is really cute and nicely designed so that little ones will adore playing with it. When I first seen the set I was unsure if Sophia would enjoy playing with it as she has just turned three, however she loves it and has played with it nonstop for the last few weeks. While She adores the two pony's that came with the set the star of the show is most certainly the little crocodile figure, she has rather cutely named it baby-dile, as it is a baby crocodile. Baby-dile goes everywhere with her and is involved in every game she plays. After seeing how much Sophia loves this playset I really do recommend it, she has hours and hours of fun playing with it and it most certainly her new favourite toy. Both my girls have seemed to really enjoy playing with small playsets like these more than any other type of toy, they seem to captivate their imaginations. It has been so sweet watching Sophia make up games with this playset. 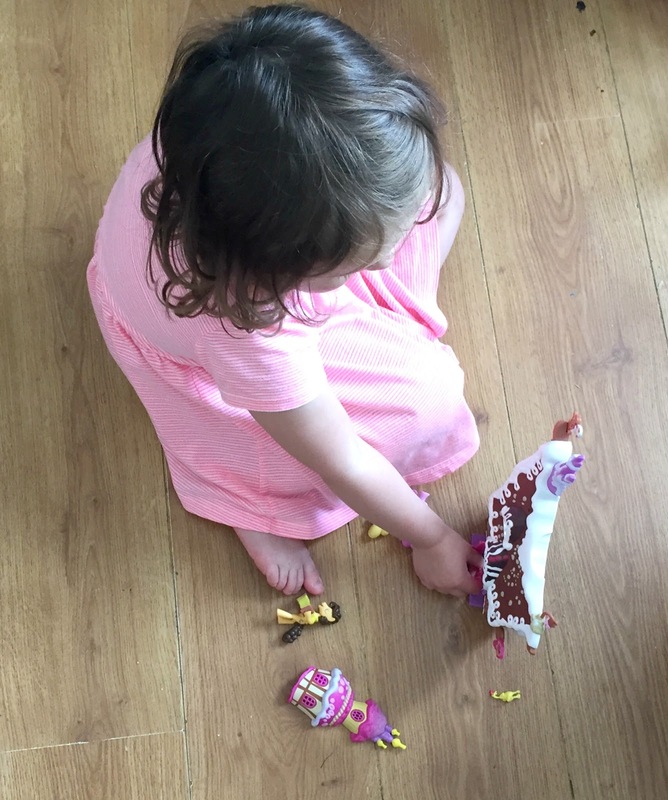 This toy certainly gets the seal of approval from my little girl and I certainly do recommend it due to the fact she loves it so much and it is so sweet looking. I will certainly be buying her lots more My Little Pony sets for Christmas this year. The set retails at £19.99 from Argos or £14.45 on Amazon. You can also buy little blind bags to go with the set which are £1.99 and would make the perfect pocket money toy. Disclosure : We received this playset for the purpose of this review, however all opinions are my own. 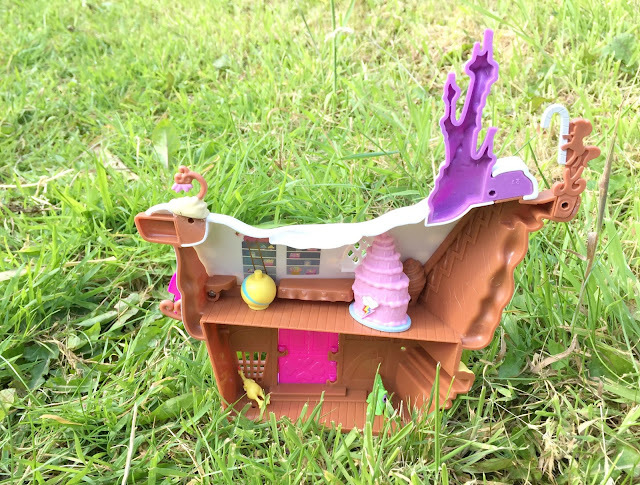 This looks great and I know my little girl would absolutely love it...she'd honestly love just getting a bit of paper with My Little Pony drawn onto it! !